As a child, Don Tate wasn’t a reader. When he did read, he especially enjoyed illustrated encyclopedias. Encyclopedias took him on adventures all over the world, where he learnt about all kinds of people — real people. “Brown people, too, who were mostly absent from other books in my home,” says Tate, an award-winning American author, and the illustrator of numerous critically acclaimed books for children. Finding himself on the cover of that encyclopaedia — and characters he could relate to — made him who he is today. His first book as an author, “It Jes’ Happened: When Bill Traylor Started to Draw”, was an award-winning biography of folk artist Bill Traylor, a former slave. His 2015 picture book, “Poet: The Remarkable Story of George Moses Horton”, told the story of the 19th-century slave in North Carolina who became the first African American to be published in the South, protesting slavery in the form of verse. 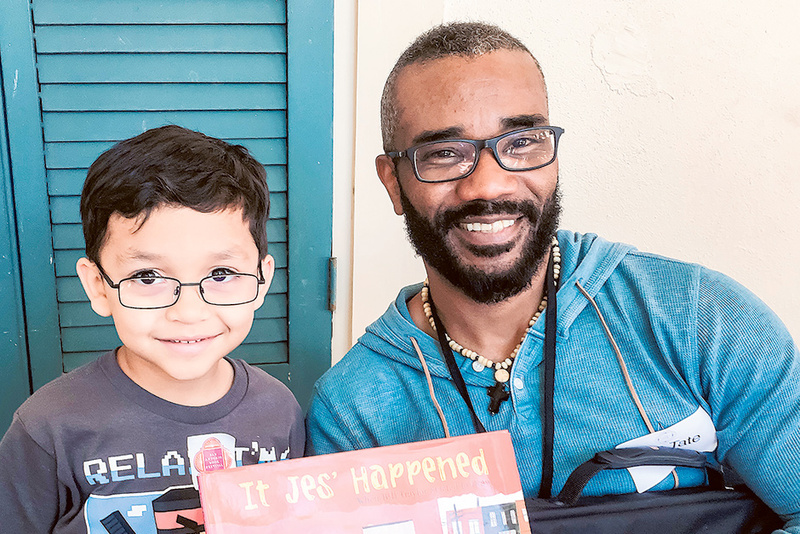 Tate’s experience as a young reader highlights a reality that many in the book publishing industry have lamented for years — the lack of diversity in children’s literature. The 2012 Census data in the US shows that 37 per cent of the population consists of people of colour, but America’s children’s publishing industry does not reflect this diversity. A study by the Cooperative Children’s Book Center School of Education at the University of Wisconsin-Madison reveals that the total number of children’s books with multicultural content has been static at about 10 per cent since 1994. Organisations such as We Need Diverse Books, which Tate is a part of, are working to raise awareness and encourage diversity both in books and in the publishing world. We Need Diverse Books is a grassroots organisation in the US which was formed to address the lack of diverse, nonmajority narratives in children’s literature. It advocates essential changes in the publishing industry to produce and promote literature that reflects and honours the lives of all young people, not just a privileged few. Across several countries, a growing band of writers, illustrators and publishers are promoting racial and cultural inclusiveness in children’s literature. US-based publisher Lee and Low are producing multicultural children’s books with the slogan “About Everyone. For Everyone.” Simon & Schuster announced a new imprint in February 2016, Salaam Reads, dedicated to publishing books that feature Muslim characters and stories. 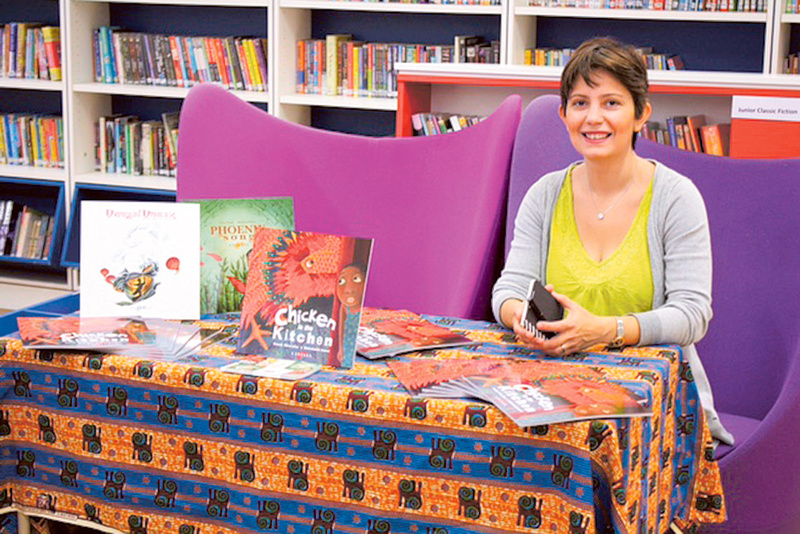 One of the books Amini has worked on is “Chicken in the Kitchen”, a picture book for children published by Lantana Publishing and written by Nigerian-American writer Nnedi Okorafor. The book introduces readers to a world of magical chickens and nature spirits, the New Yam Festival (an annual festival of the Igbo people in Nigeria), and traditional masquerade culture. The movement for diversity in YA books asks for cultures to be authentically represented, reflective of the many diverse lived experiences. The worlds in books provide one of the first opportunities children have to explore the world. Under-representation can be problematic and leave lasting “colonising” effects on the mind that can be difficult to shrug off. Activists also warn that under-representation of the different worlds we live in may hinder the development of self-esteem in children because their identities are absent in the books they read. Sayoni Basu of independent Indian publisher Duckbill Books, which produces books and digital products for children and young adults, finds that most books in India are set in an urban and middle class milieu, written by authors who lead lives of privilege and whose imagination seldom travels beyond a very circumscribed idea of what is suitable for a children’s book. Tired stereotypes can establish personal and institutional manifestations of racism, sexism, classism. Yet for the most part, children’s literature represented one of the most valuable pieces of real estate in the fight against bigotry and racism in American culture, wrote Alvin Irby, a former teacher and the creator of Barbershop Books, a community-based literacy programme that puts child-friendly reading spaces in barbershops. “The stereotypical ways in which people of colour are represented in modern-day children’s literature, or are altogether missing, bear some responsibility for the prominence of racism in American culture,” said Irby in “The Charleston Shooting: Why White Kids Need Diverse Children’s Books”, a piece written in 2015. The year before that, New York Times had published an op-ed by children’s book author Walter Dean Myers — “The Apartheid of Children’s Literature”. Many writers and illustrators are using various platforms including awards to push for diversity and equal representation in children’s literature. Author Matt de la Peña, the first Latino male Newberry Medal winner for his picture book “Last Stop on Market Street” (which also won a 2016 Caldecott Honor and a 2016 Coretta Scott King Illustrator Honor) said that he visits high-poverty schools and told Publisher’s Weekly he hopes to show kids “that they are worthy of being the hero in my books”. Gene Luen Yang, author of the graphic novel “Chinese Born American”, was a National Ambassador for Young People’s Literature in the US. His commitment to diversity comes across in his ambassadorship platform Reading Without Walls — a movement encouraging young readers to move outside of their literary comfort zones. In his platform statement, Yang urges students to “read a book with someone on the cover who doesn’t look like you or live like you”, affirming that “by reading other people’s stories, we can develop insight and compassion”. “The world has become a smaller place over the last 20 years, especially with the internet, all at once the world can be at your fingertips,” says Melati Lum, an Australian/Malay/Chinese writer of fiction for pre-teens who has worked with the UN as a criminal lawyer. Her first book, “The Istanbul Intrigue”, features Ayesha Dean, a teenage girl who sets off for an adventure in Istanbul after finding a mysterious note. “Australia has also become a multicultural society, making it more relevant for our books and media to be more reflective of the society in which we live. 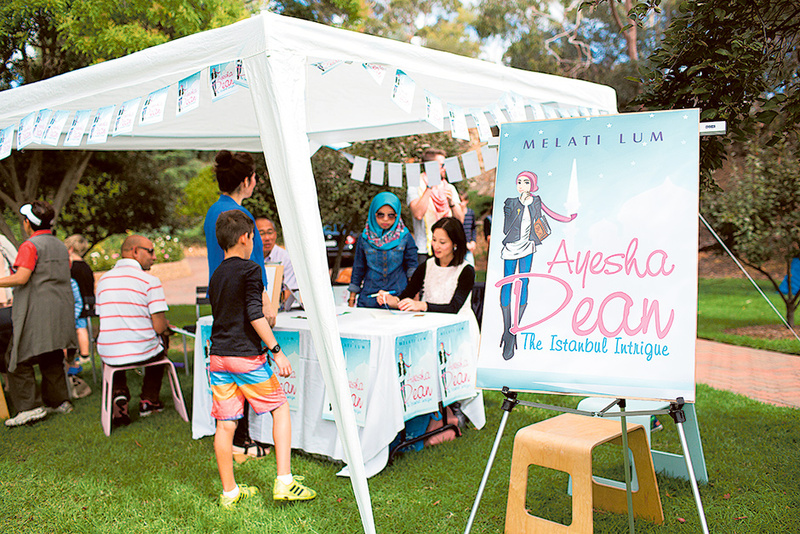 Her character Ayesha Dean defies that stereotype as an Australian Muslim teenager. She loves travel, adventure, and to solve mysteries. Being from an environment where a lot of what people hear about Muslims in the media tends to be negative, Lum was overjoyed to hear from a 9-year-old non-Muslim reader that she loved the book and learnt a lot from it. “‘The Istanbul Intrigue’” is written in the style of Nancy Drew, which I absolutely adored reading as a child. I’ve had the idea of writing a children’s novel for quite some time, probably since my son was a child of about 10 and I was struggling to find him reading material that could speak to him as a Muslim kid. I ended up writing a story that I know that I would have loved reading in my preteen years. I wanted to create a lovable Muslim heroine who was friendly, compassionate, fun, and someone who modern young people of all backgrounds could relate to and enjoy reading about,” says Lum. The root of the problem could well be the fact that the publishing world — the gatekeepers — isn’t exactly what you would call diverse. A study of major publishers, commissioned by Lee & Low Books, showed that the publishing industry as a whole — including sales, publicity, and executive departments — is 79 per cent white, 78 per cent women, 88 per cent heterosexual, 92 per cent non-disabled. In 2015, UK authors Nikesh Shukla and Jon McGregor slammed UK publishing for its failure to take diversity seriously. “Where are the brown people,” asked Shukla, slamming an industry which he said “work[s] to perpetuate an environment in which their own sort feel at home”. His comments came after World Book Night (WBN) revealed that none of the 15 books it will give away in 2016 would feature a single BAME (Black, Asian and Minor Ethnicity) author. WBN project manager said that no publisher had put a BAME book forward, pointing to another factor — publishers are reluctant to take risks with books that they say are not ‘marketable’. “It’s a perfect loop-de-loop of blame and it gets very wearing — nobody wants to take responsibility,” said Shukla, author of novels “Meatspace” and “Coconut Unlimited”. The novelist said that he had got small presses and authors and bloggers to back him but hardly any major publisher has come forward. Lantana’s Alice Curry and Caroline Godfrey point to the 2015 ‘Writing the Future’ report commissioned by the writers’ development agency, Spread the Word, which drew attention to the fact that the publishing industry itself is unrepresentative of the ethnically diverse population in the UK. “In the last couple of years, publishers have tried to address this by finding different ways to recruit a wider range of people into the industry. In January this year, Penguin Random House in the UK removed the requirement that applicants have a university degree — often a barrier for people of lower socio-economic backgrounds, many of whom are from diverse backgrounds — and the initiative, Creative Access, provides paid internships in the creative industries for young people from under-represented BAME backgrounds. Earlier this year, novelists Shukla and Sunny Singh also launched the Jhalak Prize — a book of the year award designed solely to celebrate the work of writers of colour in the UK. “These examples demonstrate that change is occurring, and quite visible and vocal change,” says Godfrey. But there’s still have a long way to go before festivals and awards specifically celebrating writers from BAME backgrounds are not necessary, simply because mainstream events and prizes are just as likely to recognise those from diverse backgrounds as they are those of white British heritage. –Anuradha Sengupta is a writer based in Mumbai.